I. in Europe’s major petroleum province – the North Sea a “Geological analysis and resource assessment of North Sea petroleum systems”. This research includes the assessment of conventional and unconventional oil and gas resources in the most important hydrocarbon basin in Europe. This will enable the remaining resource to be better understood and managed, and identify options for multiple and alternative uses of the subsurface as producing fields come off-line. II. with a pan-European view, “Hydrate assessment in the European continental margin and related risks”. The assessment of gas-hydrates resources in the European continental margin represents an information gap of pan-European interest. 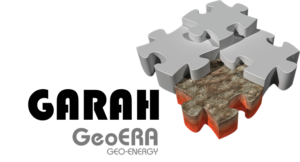 This will improve the understanding of the potential role that gas-hydrates may play in the future EU energy mix, as it will constitute a base-line for future projects pertaining the improvement of the European model of the GHSZ, related hazards and potential for geological storage of CO2. A catalogue evaluating the multiple-use of hydrocarbon reservoirs, as integrated or alternative use of the subsurface, together with an appraisal on risks and safety, will be produced. This study will provide and disseminate all the analytical data generated to a common EGDI database. Further details about the project will be available later. The total budget for the project is 1,076,707 € of which the participants contribute 843,422 € and the EC contributes 233,283 €.